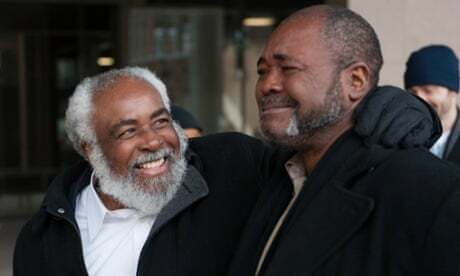 A man who was sentenced to death for a killing he did not commit and spent nearly four decades behind bars will receive more than $1m from the state for wrongful imprisonment, a court has ruled. 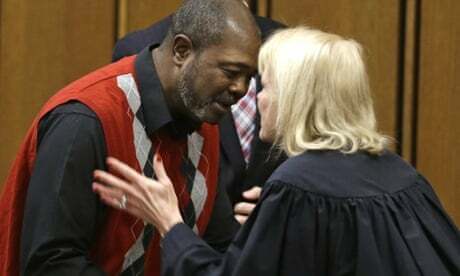 Ricky Jackson, 58, was one of three men sent to death row in 1975 after being convicted of aggravated murder in the slaying of a businessman outside a corner store in Cleveland. Cuyahoga county prosecutors at the time relied on the testimony of a 13-year-old boy to convict Jackson and two brothers who were Jackson’s best friends. The boy, Eddie Vernon, said he saw the slaying. But Jackson had actually been in a school bus with other children about a block away when the businessman was shot. The now-grown Vernon signed an affidavit that the Ohio Innocence Project filed last March, saying police coerced him into testifying against Jackson, Wiley Bridgeman and Ronnie Bridgeman, now known as Kwame Ajamu. Based on the recantation and corroborating testimony that Vernon lied in 1975, a judge dismissed the charges against the three men in November 2014. Jackson’s payment comes after a judge ruled last month that all three men were entitled to compensation. The court of claims ordered the state to pay Jackson $1,008,055 for the nearly 39 years he spent in state prison. 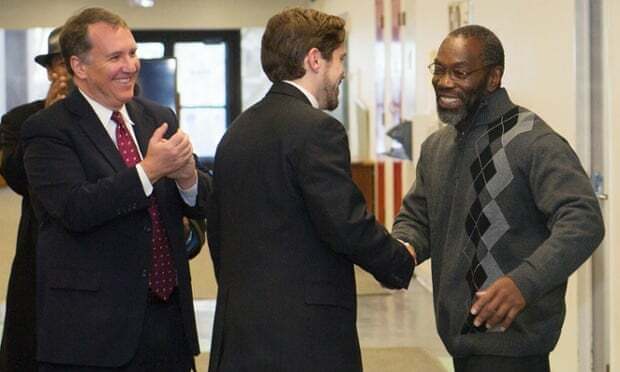 When Jackson was released in November he was believed to have served the longest sentence for someone wrongfully convicted. Wiley Bridgeman also was released from prison in November. He was originally paroled in 2002 but sent back to prison several months later after an argument with a parole officer. Ajamu was paroled in 2003. Bridgeman and Ajamu have not received their compensation yet. The men’s slow march toward exoneration got its initial boost in 2011 after an investigation by Scene magazine.